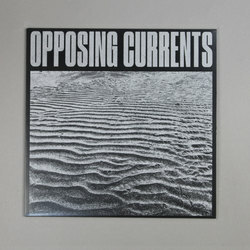 Opposing Currents - Mirage Information. Vinyl LP. Bleep. Artificial Dance (King Ende Schneafliet, Dr. C. Stein) drop the debut full-length from Jason Letkiewicz’s Opposing Currents. Letkiewicz - also known for his Death Commando/Steve Summers projects and for being a member of Mutant Beat Dance - channels his tech-no-how into a record of Gothic industrialism here. 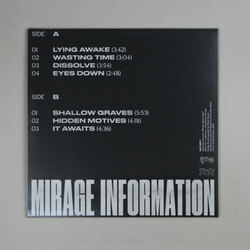 The influence of minimal wave, synth-punk and electronic post-punk are obvious in Mirage Information’s lo-fi stomp, while the EBM force of Nitzer Ebb drives the tracks forward. Letkiewicz’s mate Beau Wanzer would be pleased to have made something like Mirage Information.